Sasha Farina. Paper. Play. : Do you hear that? It's the sound of my heart breaking. Do you hear that? It's the sound of my heart breaking. Baby girl is eight! How did that happen? Ouch. I don't want her to grow up! Someone please help! Do something, anything! :)) But I can still smile today, for she is as sticky as ever. She sticks to me like no one's business, that girl. LOL. I want her to do that for as long as I live, if possible. And my mama turned 57! You see that photo of them up there? They were making deals not to disturb and irritate each other. LOL. You have to be there to understand how funny that was. Happy Birthday Mama! Happy Birthday Nidhi! I love you both, so much! just a heads up - Napa Valley - has an alpha stamp in it. Yummy, versatile and just the right size. I used the set in the layout above. And there's a number set that matches that particular alphas in the shop! I used it too - subtle stamping in the background. Can you see it? A lot of misting here. Fun! And a little self indulgent, but I don't care. I love scrapping about myself. As usual, I'm available if you have questions. I'm available via email *email button on left side bar* or even facebook. I feel you :) Sometimes I spent nights staring at my Iris, and smell her hair etc. Happy Birthday to your Mum and your beautiful girl. They grow up so fast!! Love the artwork sasha. someday I hope to craft as beautiful as you had done. Happy birthday to Nidhi and your Mum! Oh my heart breaks for you too! My oldest just turned 8 in August and now she just seems older-sigh. And as usual, love your pages! You are so creative! I know how you feel too, I wish my boys would stop growing up so quickly!! Love your layouts! Love your layouts for this month!!! congrats with your...big girl now.Lovely pages you made again . Sasha, your photos of you and your little girl are so sweet! My little girl is five, and I don't want her to grow up either. I know how you feel! Love the subtle stamping on the first layout. The second one is so gorgeous with the doilies and the misting, and the stitching on the third layout is oh so fab! Love your pages--and totally get how you feel about your baby growing up! My youngest is turning 14 Saturday: OUCH. I'm always amazed with how you work the mists. But I'm especially in awe of that twine grid layout!! Pure love! How's ur training kak? GE 10km this Sunday rite? Everyime I cross that bridge, I keep thinking of you and Abg Sam. 8.. they grow so fast don´t they.. Mine is 5 and i it feels like it was yesterday i broght her home..
And hello IF you inspired someone?!!! Sasha, I love every one of these. You amaze me with your creativity every single month! Happy birthday Nidhi!!! very long never come to the shop so I can give you twisties or sweets! And those are awesome layouts Sasha!!! My favourite is the self-portrait one! Beautiful pages and beautiful photos! Beautiful layouts as always! I love that you have the text paper sideways...so cool! Happy birthday to Nidhi and your Mama! Eight - wow, what a little cutie she is! My baby just turned 8 too. It's a hard one for sure:) Happy Birthday to your Mom and Nidhi!!! 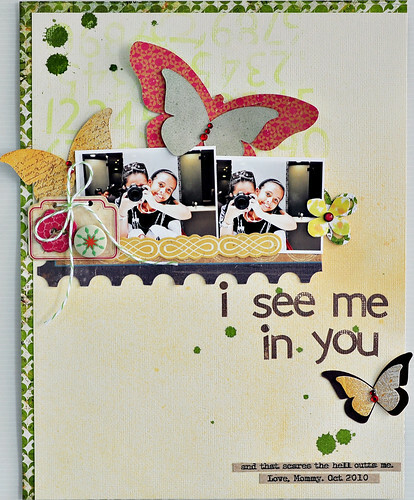 LOVE the pages this month Sasha....the stitching with twine is brillant and beautiful...LOVE it! Magnifiques toutes ces pages ! bravo ! 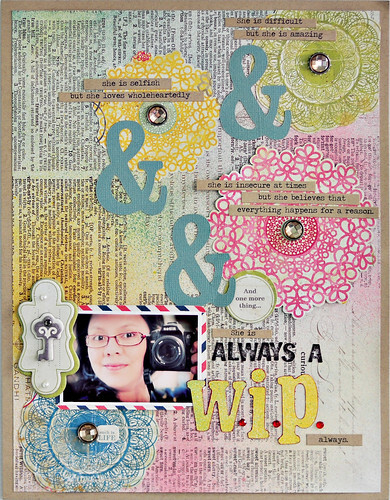 these layouts are amazing and you have certainly inspired me! oh good golly you have outdone yourself with these gorgeous layouts! Happy birthday to your daughter. sweet little thing...my fav of all of this month...you rock girl! happy birthday to your dd and mom...my little one is also 8...it's hard to believe! Gorgeousness, as always! So glad you are on the SC team!! Happy Birthday to your daughter & Mom! I love each & everyone of these LO's!! Simply gorgeous!! OH man, all three of those layouts are seriously gorgeous. I too especially love the last one with the twine!! Gorgeous gorgeous gorgeous!! 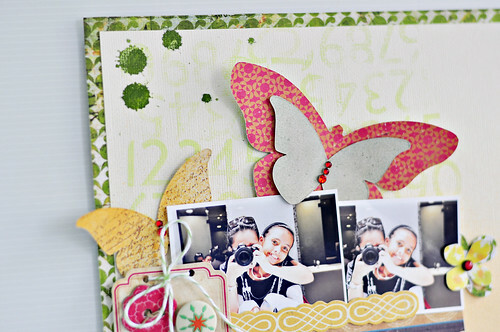 You know how many layouts of yours I have in my "Scraplift" folder?! Man. I love your work!! I just love this layout and all your layouts. Cantek! I'm so happy to have found your blog. Thanks a lot for all the inspiration you share, it's hard to find great stuff like yours in Sweden! 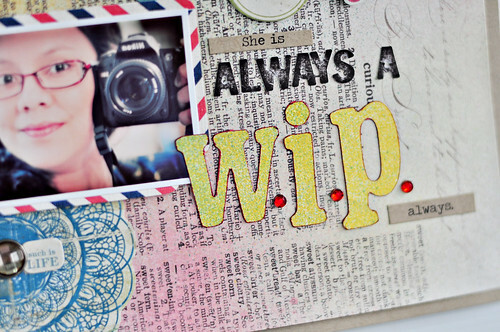 I just found your blog through the Calico Blog - what a find indeed. Your style is amazingly inspirational. You've made me want to run out and buy an 8.5x11 album and start scrapping that size right away :) I'll be sticking around here for quite sometime. Thanks for sharing your world with all of us. your work is amazing! just discovered it through SC!! so glad ! am now a member of your blog!! 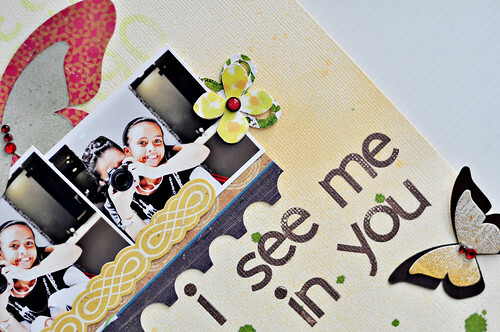 I have nothing but BIG love for your projects in this month's SC gallery. W-wowza! As far as that heart breaking, can I just share that my little one turns 13 in a few days? Agh, I wish I could just be in denial, but she's growing way too quickly for me NOT to notice. WOW i love your work! AMAZING!!! Back so soon - with good news too!